I just learned a cool effect but very easy to do! 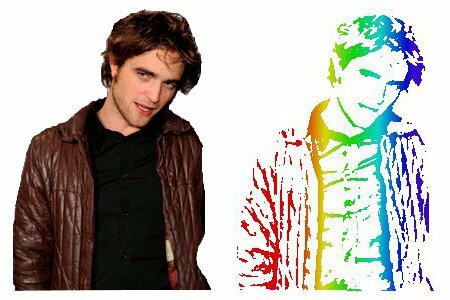 It’s applying a colored effect on your photo. Create a new image. You can choose any size that you want. I made mine 200 x 300px to fit the image that I used. 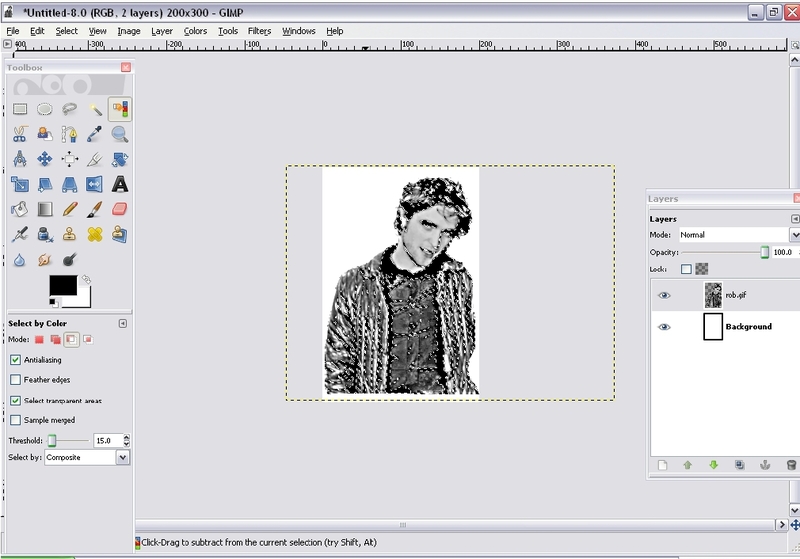 Then open your image as layer. Desaturate. 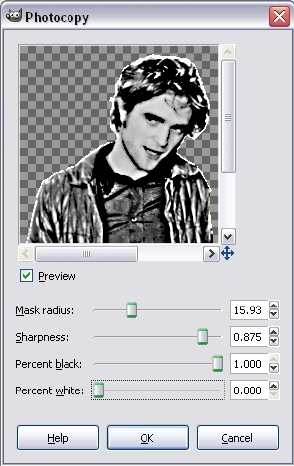 With the image layer selected, go to C0lor -> Desaturate. Photocopy. Go to Filters -> Artistic -> Photocopy. Then play with the settings to make it look like the one below. The more black areas, the better. Select regions by color. With the use of the ‘select regions by color tool’, click on any of the black part. Your image should look like the one below. Delete your image layer. 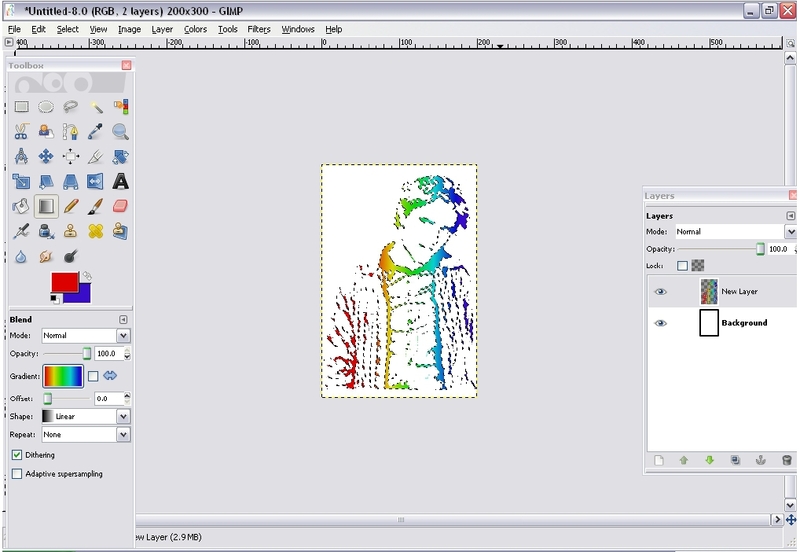 Now you are left with your background layer with the dotted ‘marching ants’ outline of your image. 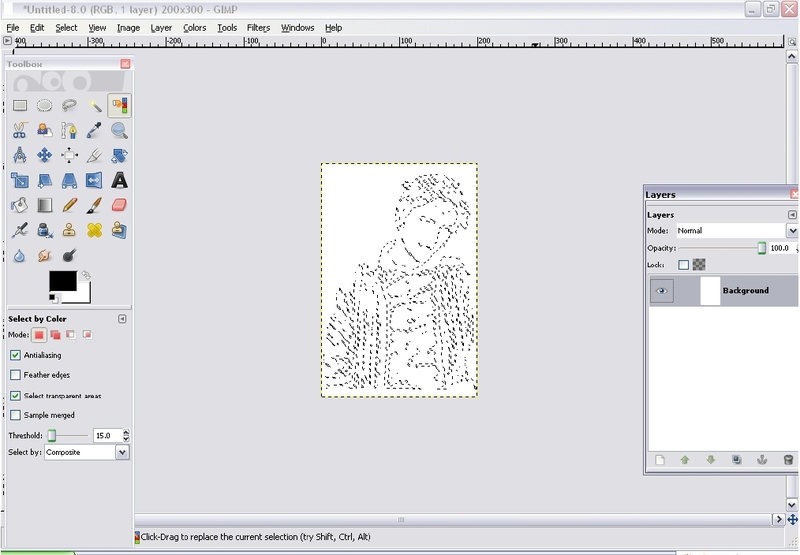 Create a new transparent layer. Set your Foreground and background colors. Use red for the foreground and blue for the background. 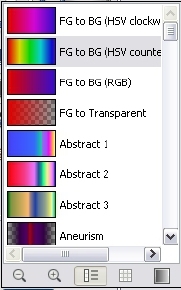 Then select the Gradient tool. 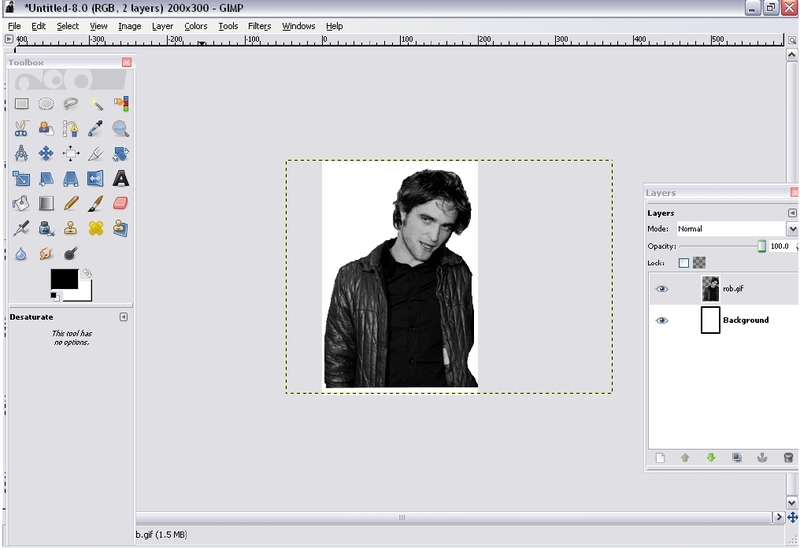 Set it to Normal at 100% opacity then choose FG to BG. 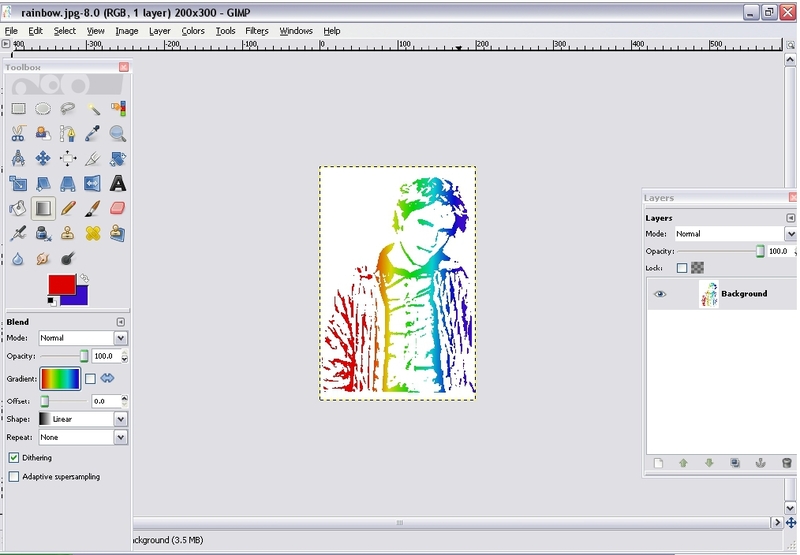 With the use of the gradient tool, click on the picture then drag it making a line over your picture. It can either be horizontal or vertical depending on you. Your image should look like the one below. Then click Select -> None to remove the selection. We now have our final output. Spot the difference.